Bank Dole Lock Junction is a minor waterways place minor waterways place place on the waterways major waterways place village town city on the Aire and Calder Navigation (Selby Section) between Bank Dole Junction (Junction of the Aire and Calder Navigation (Selby Section) and the Aire and Calder Navigation (Main Line)) (3 furlongs and 1 lock to the west) and Haddlesey Junction (Junction of River Aire and Selby Canal) (6 miles and 1 furlong and 1 lock to the east). The nearest place in the direction of Bank Dole Junction is Bank Dole Lock No 1; ½ furlongs away. The nearest place in the direction of Haddlesey Junction is Stocking Lane Pipe Bridge; ½ furlongs away. Dorning Street, Knottingley, WF11 8AH — 1334 yards to the west. 23 womersley road, Knottingley, WF11 0DB — 1106 yards to the southwest. 36 Cow Lane, Knottingley, WF11 9BY — 869 yards to the west. 2 Spawd Bone Lane, Knottingley, WF11 — 1634 yards to the west. Quarry house, 52b Womersley road, Knottingley, WF11 0DJ — 1283 yards to the southwest. womersley, Knottingley, WF11 0DH — 1335 yards to the southwest. middle lane, Knottingley, WF11 0BZ — 1335 yards to the southwest. Lamb Inn Road, Knottingley, WF11 8AU — 865 yards to the west. 18 Racca Green, Knottingley, WF118AT — 969 yards to the west. foundry lane, Knottingley, WF11 8AZ — 837 yards to the west. 23 racca green, Leeds, WF11 8AT — 939 yards to the west. Dewsbury — 1407 yards to the west. Weeland Road, Knottingley, WF11 8BE — 291 yards to the south. 94 womersley road, Knottingley, WF11 0DL — 1403 yards to the southwest. 5 Cow Lane, Leeds, WF11 0BY — 1366 yards to the west. 25 Womersley Road, Knottingley, WF11 0DB — 1108 yards to the southwest. 15 Racca Green, Knottingley, WF11 8AT — 937 yards to the west. Aire Street, Knottingley, WF11 9AT — 1265 yards to the west. Alfred House, Ropewalk, Knottingley, WF11 9AL — 1099 yards to the west. Ash Grove Medical Centre, England Lane, Leeds, WF11 0JA — 1572 yards to the west. 54 The Poplars, Knottingley, WF11 0DE — 1455 yards to the southwest. Harker House, Common Lane, Knottingley, WF11 8BN — 628 yards to the southwest. Leeds — 1335 yards to the southwest. Knottingley — 617 yards to the west. Knottingley, WF11 8 — 1459 yards to the east. Ropewalk, Knottingley, WF11 — 1206 yards to the west. Sunny Bank, Leeds, WF11 9DA — 887 yards to the west. 5a foundry business centre, Knottingley, WF11 8AZ — 845 yards to the west. 108 Weeland Road, Knottingley, WF11 8BG — 767 yards to the southwest. 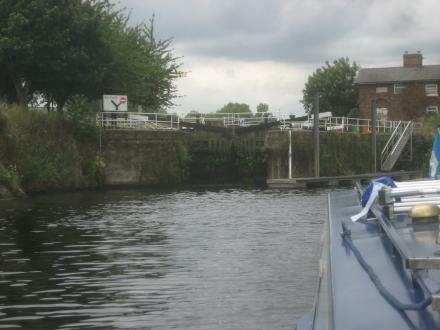 Knottingley — 959 yards to the south. Knottingley — 1388 yards to the southwest. Downland Crescent, Knottingley, WF11 0EH — 1477 yards to the southwest. Weeland Road, Knottingley, WF11 8AP — 291 yards to the south. Middle Lane, Knottingley, WF11 0BZ — 1296 yards to the west. Unit 8, fernley green industrial estate, Knottingley, WF11 8DH — 498 yards to the southwest. Knottingley — 865 yards to the west. Leeds — 1353 yards to the southwest. England Lane, Knottingley, WF11 0JA — 1584 yards to the southwest. Primrose Vale, Knottingley, WF11 9BT — 1026 yards to the west. Knottingley, WF119BJ — 685 yards to the west. Marsh Lane, Knottingley, WF119 — 599 yards to the west. Wakefield — 1335 yards to the southwest. Headlands Lane, Knottingley, WF11 9DG — 1335 yards to the west. 614 yards to the southwest.